Officers later determined, however, that the call was a hoax. Scappoose Police Chief Norm Miller said Columbia 911 dispatch received a call that three people armed with knives and bats had forced their way into a home on Southwest Meadow Drive. Miller said that when officers arrived at the house, there was no threat. The 911 caller stated that someone was "hiding in the upstairs," Miller explained, but the address was only a single-story home. Officers then went to another home with the same address at Meadowbrook Drive, which is a two-story home, but also did not find any threat. Officers determined that a man who lived in the home on Meadowbrook Drive did not make the call and was not under any threat. Miller said it appears that someone called 911 to make a false report but used the cell phone number of a woman who lived at the Meadowbrook Drive address, which prompted officers to respond to the scene. 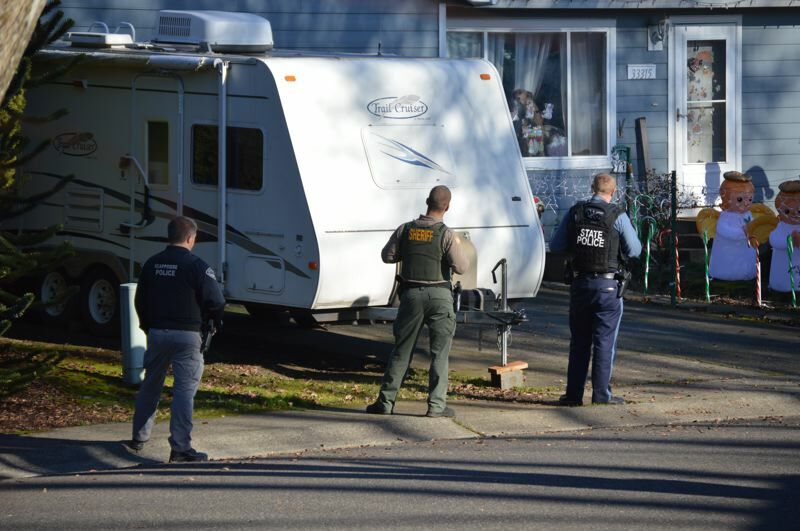 Law enforcement officers from Scappoose Police Department, St. Helens Police Department, Oregon State Police and Columbia County Sheriff's Office all responded. Officers were seen with weapons drawn walking around the Meadowbrook Drive home just before noon Tuesday, while police cars lined Southwest 4th Street near the suspect house. The call could be part of a national trend called "swatting," where someone initiates a false report to 911 at a publicly listed address with the intent of having law enforcement respond to the home. The trend initially began with online gamers tracking down IP addresses of other gamers as a prank, but in several instances people have been hurt or killed following the false reporting. Miller said while the trend may be national, this is the first type of call he has received in his 27 years in Scappoose. Police will continue to investigate the source of the call, but there is no threat to the public at this time.